← Margaret Maron. The Buzzard Table. New York: Grand Central Publishing, 2012. Erin McCarthy. 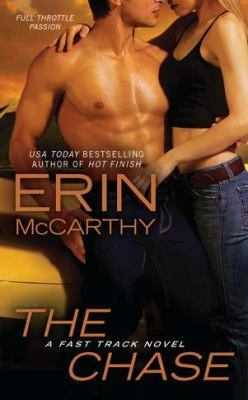 The Chase: A Fast Track Novel. New York: Berkley Sensation, 2011. Ten years ago, Evan Monroe broke Kendall Holbrook’s heart when he mocked her dream of becoming a professional driver with the North Carolina racing circuit. A fresh-faced eighteen-year-old, she had thought what they had was true love, and when he laughed at her goals it hurt her so deeply that she wasted no time in cutting him out of her life. Unfortunately, ten years later, both she and Evan meet again as a part of the same driving team. Kendall is an unstoppable force as the first female to successfully break the glass ceiling of the racing industry, while Evan is struggling to keep his head above water. But Kendall isn’t as happy with her life as she should be. She’s thrilled with how her career is going, but misses having a dating life. If she’s being honest with herself, Evan really was the only man for her, until he turned out to be a sexist pig. But when her best girlfriend discovers that what divided Evan and Kendall may have been only a terrible misunderstanding, it looks like they might have a happy ending after all…the only thing that could get in the way would be their competitive racing careers. Will they be able to rekindle their romance? And more importantly, will they be able to keep that flame alive?